Excessive snacking is one of the ways in which people gain weight, especially during the holiday season. Holidays are characterized by numerous parties and other festivities. This means that snacking is somehow inevitable. To prevent the unhealthy weight gain, it is essential to choose healthy snacks. 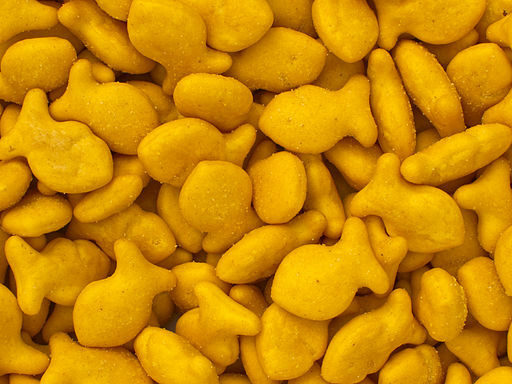 Goldfish® crackers are one of the best cracker snacks that one could eat as filler. There are only 140 calories per 55 crackers. These crackers are an easy way of feeling full even though they do not provide a significant level of nutritional value. Wheat Thins® is another good cracker snack. One-hundred forty calories per 15 crackers are yielded by the original flavor crackers. If eaten in the appropriate serving size, both crackers are not only cheap, but also yield low caloric value. Various nut types provide an alternative protein source, in addition to vegetarian or vegan alternative snacks. Some nutritional spheres have dubbed almonds as the healthiest snacks, and they thus provide yet another appropriate snacking alternative. There are close to 132 calories in a serving of one-fourth cup of almonds. It is also essential to acknowledge the fact that one-fourth cup of almonds contains about 12 grams of healthy fat. Cashew nuts are also one of the healthiest snacks to consume during the holiday season. Granola bars are one of the suggested healthier snacks. A key advantage of granola bars is that they are made of different flavors such as chocolate so that consumers can satisfy their sweet needs. A bar of Quaker Chewy Granola Bars® contains only one hundred calories. Snacking is evidently made simple as a person is only consuming one bar in between dinner and lunch.